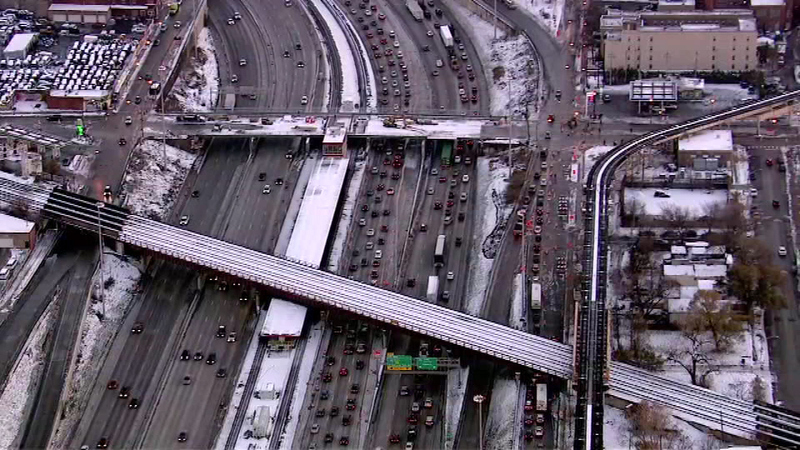 The Dan Ryan Expressway lanes will reopen Wednesday morning. CHICAGO (WLS) -- Several lanes of the Dan Ryan Expressway will close at 8 p.m. Monday to allow crews to work on the 63rd Street bridge on the South Side. Workers will start with the express lanes at 63rd street and reopen the lanes in time for the morning rush hour on Tuesday. At 8 p.m. Tuesday, workers will close northbound local lanes and the 71st Street entrance ramp. All lane traffic will return to normal Wednesday morning.